Course Description: An introduction to questions and concepts in gender and women’s studies. 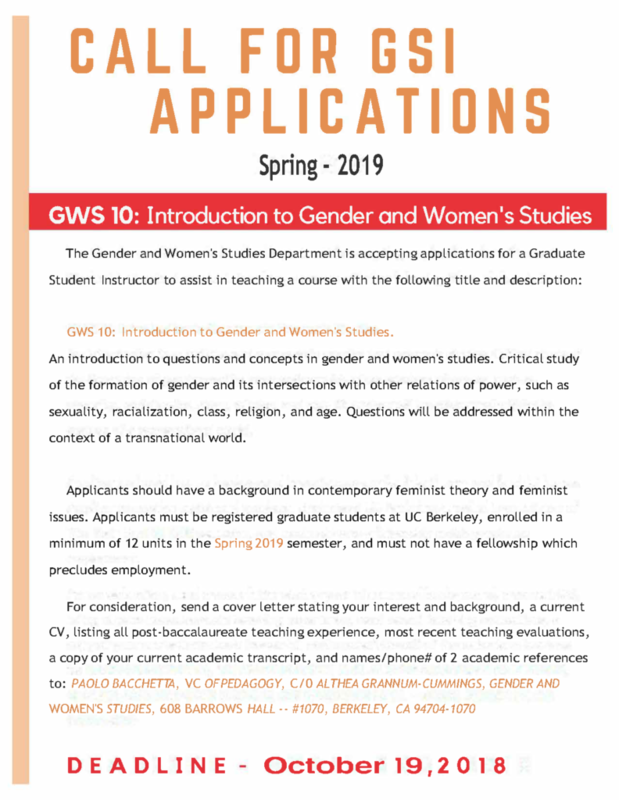 Critical study of the formation of gender and its intersections with other relations of power, such as sexuality, racialization, class, religion, and age. 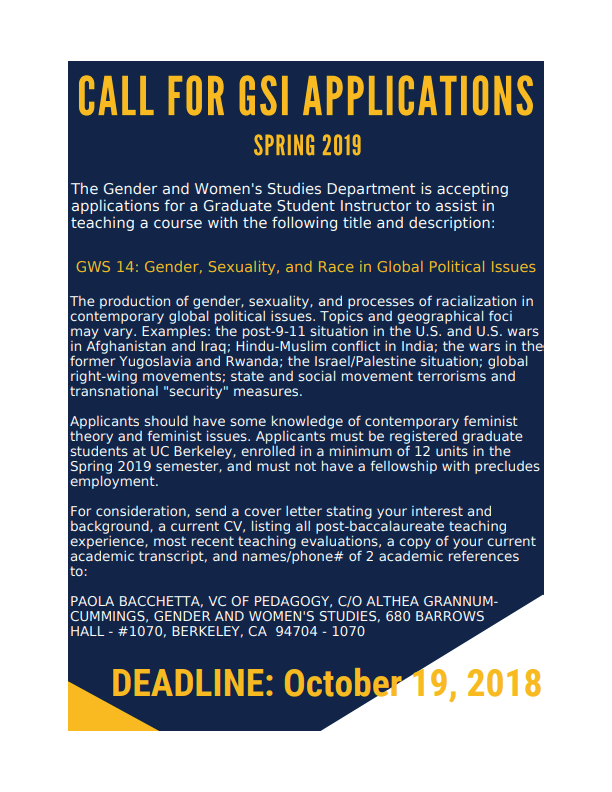 Course Description: The production of gender, sexuality and processes of racialization in contemporary global political issues. 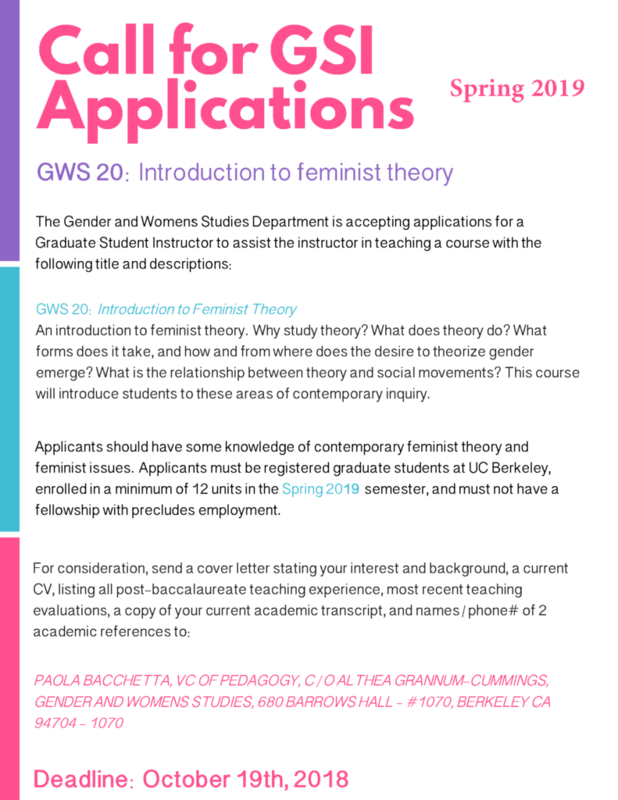 Course Description: Introduction to feminist theory. Why study theory? What does theory do? What forms does it take, and how and from where does the desire to theorize gender emerge? What is the relationship between theory and social movements? This course will introduce students to these areas of contemporary inquiry.